A WORLDWIDE celebration of children and young people who have experience in care will be marked in East Sussex with a call for more carers. East Sussex County Council’s fostering service is using Care Day on February 15 to encourage families and individuals to consider giving a loving home to a child in need. With the authority always looking for people to help care for children in its care, it hopes to show people the difference they can make by becoming a foster carer or a supported lodgings provider. 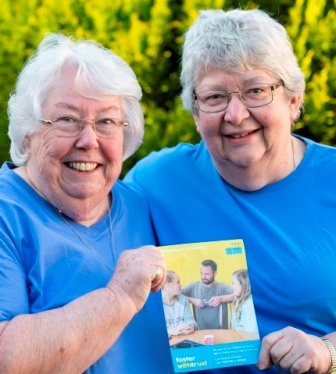 Terri and Anne are friends who share responsibility for fostering at their Eastbourne home after transferring from an independent fostering agency to East Sussex. “I think the best bits about fostering are seeing some progress in the child,” said Anne. “From probably being an angry little person, to settling down and progressing through school, and having a good outcome. Terri added: “He actually said to us that the best thing that ever happened to him was coming into care. You don’t expect a pat on the back from anybody, but that was a lovely thought that he came back and told us that. The friends say transferring from an agency to East Sussex has enabled them to help more children, and they praised the training and support they receive from the local authority. Anyone interested in finding out more can call 01323 464129 or text FOSTER to talk to a member of the team about fostering, or call 01424 726155 or text SUPPORT to 80011 to talk about supported lodgings. This entry was posted in Children's Services on February 13, 2019 by karenb.